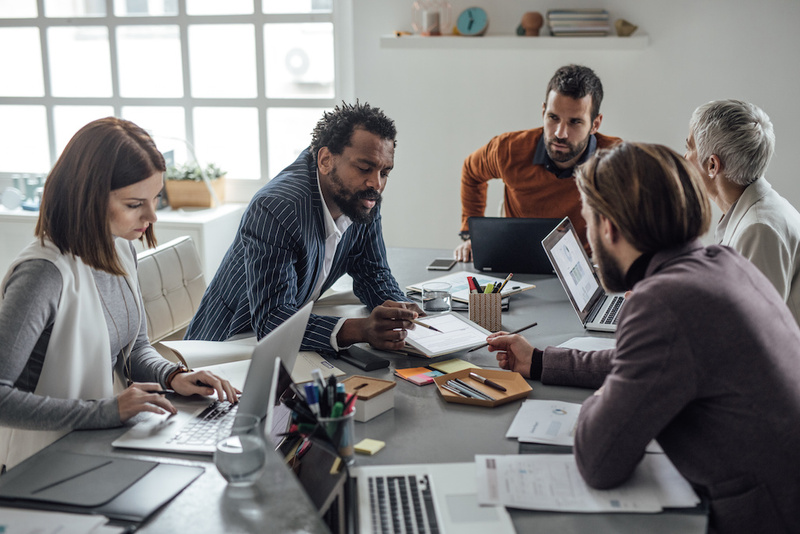 This article is part of a four-article series on why diversity efforts are failing in the workplace and focuses on developing and integrating meaningful, equity-based business practices. Let’s assume that you develop a level of trust with your employees. You communicated the message and by all measurements, you have employee buy-in. Your organization is one of the few that is fortunate enough to have a public perception of fairness and you have nurtured a positive level of trust. The next major goal is for you and your organizational change team to make diversity real – to make it actionable and observable. Consequently, you create diversity training materials with the assistance of consultants who have developed a highly sophisticated mix of training approaches that will be used to train employees and managers. From videos to visual presentations to a series of panel discussions, a range of diversity-centered topics that include acceptance, tolerance, understanding and communication are dispersed throughout the organization. The work has started. Unfortunately, this start is often where diversity efforts end. Organizational leaders and managers believe that mere training is enough, and it is this belief that contributes to leadership’s failure to develop and integrate meaningful work practices consistent with the diversity message. As a result, you and your organization fall short of creating a culture that truly understands and embraces diversity. In other words, all the right things are being said, but there is a lack of evidence-based diversity business practices, systems and processes set in place to reinforce your messages and leverage the training. Believe it or not, these situations often get worse. In the absence of business practices comes individual subjective reasoning, which contributes to employees regressing back into behaviors and beliefs that negatively impact diversity efforts. The diversity and training message is left for managers and employees to figure out. Further complicating this issue is that many organizational managers aren’t even aware that their perceived diversity message absent of actual work practices widens the divide between majority and minority groups. The issue is that any messages you develop serve as a banner of goodwill, yet they lack tangible, concrete action that impact business practices. You launch your diversity messages and couple them with the right training, but no further meaningful actions are pursued. There is the belief is that the messages and training are enough. As a result, better workplace practices are not considered nor implemented. Yes, there may be some well-intended effort at training the workforce, but this doesn’t accomplish your goals when actual work practices and processes are not considered. In fact, more harm than good results from your actions. Ensure representation and participation: Work to include diversity managers, change champions, and employees from majority and minority classes in key operational processes. Assess job designs and how the design and flow of jobs may be perceived and internalized by majority and minority groups. Also, identify tasks that may impact the perception of fairness, belongingness and equity. Demonstrate courage by asking questions such as, “Are employee skills developed in a way that considers the different ways in which people learn and interpret information?” Be willing to go beyond traditional job design and work methods to more contemporary approaches that better consider both cognitive, cultural and behavioral differences. Ensure key administration practices are reviewed and assessed for procedural and outcome fairness. Answer questions such as “Are practices such as hiring and selection objectively structured, reducing the chances that subjective interpretations and bias are controlled?” and “Do training approaches consider the diverse ways in which people learn AND do they provide adequate time for development that is fair and consistent across all groups?” If you have taken the time to gain the confidence and trust of your employees, then your next commitment must be to maintain and nourish this trust. Integrate the voice of minority groups within change initiatives and major projects. For example, ensure that the impact of contributions is meaningful and has the support of seniors. Also, make sure that their voices are not only heard but understood, fostering a workplace climate where all groups can address communication, work and system gaps. In order for diversity efforts to have a chance in succeeding, policies, work practices and processes that go beyond communication and training must be put in place over time. Also, meaningful and deliberate considerations for minority groups to contribute to the strategic direction and daily operational work process must be pursued. Finally, key administration and operational processes must be administered in a fair and equitable manner consistent with your diversity messaging to connect with your workforce in a truly meaningful way. Dr. George Taylor III has been a part-time faculty member in the APU School of Business since May 2015. He is a business owner, management consultant and academic. He holds a DM in Organization Leadership and an MBA in Information Systems Management. Dr. Taylor is certified as a SPHR, SHRM-SCP and CPC. Previously, he was a naval officer specializing in human resources. previous Working in Aerospace: What Expertise Do You Need?